Are you a music lover? Do you love to listen to the music in your free time or while doing any work? Then you landed at correct page as today we are going to share some of the best android apps from which you can easily download MP3 music. Today we are here with some of the best free music downloader apps for android. There are many cool android apps available in Play store. Among them, music downloader apps is one of most popular category which has huge popularity. So, let’s move on to the best apps for free music downloads of 2018 now. It is a search engine which you can use to download short clips, sound effects, ringtones, mp3 songs. This app is very easy to use. It has three tabs – Search, Downloads & Library. 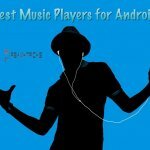 Undoubtedly, it’s one of the best music downloader apps for Android to download latest songs. Just search for any artist, album or song name from search button and it will get downloaded in Library section. Though, app has some pop ads which is quite annoying but still this android app is worth a try. Though, this app is discontinued but still you can download it’s APK to use it. It has built-in music player using which you can play songs directly from this app. Tip:- If you get any server error then switch Search Engine versions and try again. If you get any kind of notifications (looks like advertisements), just disable notifications from the Application Manager of your smartphone. Are you looking for a music downloader which is available in Play Store yet functional? You should give Songily app a try. This app has a very simple & functional UI. To download any song just search for it’s name or look for any song top chart. Though Music Paradise Pro is still our recommended music download app as this app sometime gets few server issues. This app also allows you play your favourite songs online before downloading it. Tip:- If you don’t find any music track or song by it’s name then try searching for movie or artist name to find that song. SuperCloud MP3 downloader is one of best android app to download free music but it is not available in play store. To download any music from this app, you just have to search for name of artist, album or song. This app also allows you to stream music online for free so you can also preview any music track before downloading it in your android phone. Best part of this app is that it is available for old android versions too. Even guys who are using gingerbread android version (Android 2.3) can easily install and use this app in their android. Tip :- You may get few irritating notifications (like App of the day etc.). You can stop those notifications by disabling Notification permission from the Application Manager. 4Shared music is one of the best apps for Android to download music for free. Earlier, there was dedicated music app of 4Shared but recently it was removed from Play Store. So, you can download free usmusic from their 4Shared app easily. To download free music from 4Shared, just click on search button (located at bottom right corner) & click on Music from different categories. Now, Enter name of your favourite song or artist and it will show results according to your search query. Select any of them and click on download button to take it offline (located at top right corner). Moreover, there are some other features like it has pre-installed music player too, so that you listen to music easily from app only. Moreover, they also allows to listen to the music online (online free music streaming). Best part is that this is completely free to use and install. Wynk Music is one of popular app which is getting huge popularity among users. This app has more than 10 million downloads with an average user rating of 4.1 which is undoubtedly good. The reason I listed this app on second is that this app is not totally free. Though for first month, you can use their subscription for free (and if you are Airtel user, then you can get 6 months subscription for free). You should download this app and enjoy their 1 month subscription. I am damn sure that you will love this free music download app. Though, this app is for users who loves to listen hindi songs. If you are a english songs lover, then this app is not for you. It is one of the best free music downloader to download music for free on your Android phone. This app has got huge database of songs (3.5 million) from Bollywood, Hollywood, Tamil, Telugu etc. You can also play video songs from this app. In recent updates, they have added mini-video player too using which you can watch videos easily while doing other stuffs on your Android phone. Note that all features of this app are not available for free. You can check their subscription plans to get more info about it. It is one best mp3 download app but recently it was removed from Play Store. We are listing this app here as you can download APK of this app from third party sites easily. You can easily download high quality mp3 music for free. It is undoubtedly one of most advanced app to download music. To download your favorite MP3 music track from play store, just use their search bar. Enter Artist name or track name in search bar. Now, download free music from the results shown. Google Play Music is one of best ad free music download apps for Android. Google Play Music has more than 50,000 songs in its database. Via this app, you can also discover and subscribe to the podcasts. It has some exciting features like smart recommendation which will recommend you songs according to your taste by matching genres of songs which you generally listen. Skull MP3 Music Downloader Pro is one of best free songs download app for Android users. Basically, this app has a search engine which will search for your favourite music according to your search query. It also its default music player from which you can listen to the downloaded music directly without opening stock music player. You can also set any music track as your ringtone by using their Set as Ringtone feature. I hope this app will not put you down. But according to user reviews, this app is quite slow. So, you have to be a little bit patient to download free music from this android app. Update: App is removed from Play Store. SoundCloud is one of popular free music streaming app for android but you can also use this app to download your favorite music tracks using their Save as Offline feature. Though, free version of this android app has some ads but you can pay a small fee to get ad free user experience. You can find your favorite music from Genres section or by searching by any query from search bar. Moreover, SoundCloud has millions of active installs with an average rating of 4.4 in the play store. If you are looking for a free music downloader that can download mp3 songs directly to your storage so that you can easily access it via File Manager or any music player, then Copyleft MP3 Downloader is undoubtedly the best which you can use. Finding any album, artist or any song via this app is very easy by using it’s search button. You can also stream your favorite music via this android app. Though, this app is not available in Play Store but you can download it from third party site. (We are providing link below). Napster is a new app which allows free music downloads for android users. It has more than 30 million mp3 tracks in their database as of now. Best part is that there is no annoying & irritating ads in this android app, so that you can enjoy free music downloading and streaming on your android phone without any kind of problem. It has many exciting features like Music match – which will find songs according to your taste. Though, this app is not available for android devices with Android version lower that 4.0.4. Napster is available in 34 countries currently. Using Music Download Elite, you can download new mp3 songs. But this android app is actually experimental so it crashes quite frequently. But collection of music in this android app is quite good. Note that there are many ads in this android app, so we recommend you to try this android app if you unable to find any music song in above free music download apps. Free MP3 downloads is one click music download app. Just search for any artist name, album name or any song name and it will provide you direct download link of that music track. Though, this app does not provide commercial music so maybe you will not find many of your favorite music tracks in this android app but still this app is worth a try. Well, you can’t call this app as a music downloader app but you can easily get your favorite songs easily with the help of this android app. Well, this app has more than 10 thousand radio stations from which you can easily find your favorite song. So once you have found your favorite song, simply record it. Once, it is recorded you can easily play it via any of your music player. So enjoy free music downloads in your android phone with the help of this android app. Let’s become more specific. Are you trying to download best workout music, then you must give RockMyRun app a try. You can save any music via cache feature of this android app. Moreover, RockMyRun provides workout music from different genres like Drum, Bass, Hip Hop, Pop, Rock etc. A recent survey also proved that RockMyRun increase your motivation level by 35%. It has a special feature called as Body Driven Music which adjusts tempo of mixes to match your steps. Well, it’s not just a music download app. You can easily download your videos, programs, songs, images and documents via this android app. Though, finding music download link via this app is not that easy but once you have found music download link, it will download your track instantly by using some special features like simultaneous file downloading of parts of your file in multiple connections. Pep Mp3 Downloader is one of the best music downloader for android. This app was created by a XDA developer for android users, but later due to some copyright issues, the owner removed it from that XDA thread. But you can still download APK file of this android app from third party sites. To download any mp3 track, just search for Artist name or song name in search bar. This app also allows you to stream songs before downloading it. Yes! TubeMate is a YouTube videos downloader but you can also download mp3 tracks with this app. To download any song in this android app, just search for any song name on YouTube (Website will be opened by it’s own). After that click on Download button (located on Front Right) and select Mp3 from pop up menu. Mp3 file of that song will get downloaded now. Note that you have to download one more app from Play Store called as MP3 Media Converter to download mp3 files from Tubemate. You can check out this guide to know more about procedure to download mp3 songs using Tubemate app. iTube Music is one of most downloaded music download app from Play Store with an average user rating of 4.3. iTube is both music streaming and music download app. You can find your favorite music track by finding it through Genres or simply just be searching it. Though, this app is available for android phones having at least 4.1 Android version. Database of their MP3 tracks is very huge too. I am damn sure that you can easily find most of your favorite mp3 tracks easily by this app. Mp3 Music download is one of good apps to download music for free. MP3 Music Download is very beautiful music downloading app with very good UI and exciting features like background downloading service, ring maker etc. Moreover, you can also download multiple music files at same time which is missing from many apps. To download free music from their android app, just search for your favourite music track or artist name. You can also preview that song before downloading it. To download any mp3 track, just click on Download Track button to save it in your android phone so that you can use those songs in offline mode too. It is one of the best downloader with many useful features like you can stream music in background without actually downloading the mp3 file. The only reason I am listing this app at the end of the article is it’s small database. You will not be able to download latest songs via this Android app but users who are still not able to find a good music downloading app, then this app is worth trying. Note that this app is not available in the Google Play Store but you can download this app from third party sites. Are you looking for apps like Music Paradise Pro? Then this app is a must try for you. With a very clean UI, this app allows you to download mp3 files for free. This music downloader is based on some search algorithms. Moreover, you can also find list of all downloaded mp3 tracks in the Downloads tab. This app is another basic app yet functional. Though, the database of the mp3 tracks available in this app is not huge but still this app is worth trying. Just search for your favourite track name or artist name and you will instantly get results. The only thing which I disliked about this app is the ads. There are many pop up ads in this Android app which badly affect the usage. SoundLoad is not exactly a free music downloader. You can all it a music search app instead but it can be useful as it searches for the song on multiple sources (both paid & free sources). It provides purchase links of the music tracks on SoundCloud. Though, you can use this Android app to download music tracks which are licensed under “free to use”. This app is a must have app for SoundCloud users as they don’t allow users to download music now. So those users can use SoundLoad to download those purchased music tracks. Listening to the music is one of the great passion for me, if you are one like me who like to listen to the music with your android smartphone. You need to have the best music download app for android to get your music files downloaded. If it lacks in your android smartphone you can’t download the latest mp3 songs easily. Keep visiting our blog Dreamy Tricks to get more updates about it. I recommended you to bookmark this page we’ll update it on the regular basis when ever we found some of the useful apps to add in this best music downloader apps for android 2018 edition. I have already used many of above listed music android app but Rhapsody app is new for me. Really Rhapsody app is best one of ever i used. Thanks Rahul for sharing music download app list..! Can you also provide some music downloader apps for windows phone too? Sure, I will come up with a list of best music downloader apps for windows phone users soon. Can you also help me Rahul . What music spps for Android save music to the SD card & not the phones memory? I guess there is no app for that. Though, you can manually move those songs to your ext SD card using any file manager like ES File Explorer. Thanks. YTD2 is the best app to download mp3. Great work!!! Don’t forget New Music Downloader R.I.P. Do these apps automatically save to your music on your phone? I had google play music by default. I installed wynk music and am really happy with it. Thanks for showing the best apps. Woa, great list, iTube Music my favorite though. I have Google Play and it’s not free. It charges me every month 9.99 . But I will look into these others. You should give SuperCloud Mp3 downloader a try. Nice post. Appreciate your work. nice collection. thank you for sharing best apps to download free music. keep going like this with many more updates. Awesome collection I have to say. bro please tell me how to use spotify app? I have tried many of them but the Hungama & Ganna is my favourite among all these apps. Thanks for sharing. Hi Rahul, thank you so much for sharing this exhaustive list but I would like to ask you amid those apps which one has more african music in? I would like to know which app is best for downloading music that I can use as my ringtone? Any suggestions? I already have a monthly subscription to Rhapsody (now Napster) but we I click on the download track link, I have no clue where it goes. I have plenty of playlists but I want to hear specific songs when certain people call me. If you are looking for ringtones, try Zedge. Nice.dear Rahul.but mention some indian specific music apps. You can use Music Paradise Pro or Supercloud Music Downloader. It has good database of indian songs. Trying to find a free music app that I can download onto an android phone , for my Grandson (Got phone for his birthday) so that he can listen to his music without needing Internet or data. Would appreciate any help. Try Music Paradise Pro or Supercloud Mp3 Downloader. My personal favorite app is tubemate because we can download every video song (in mp3 format too) with this. Are any of these offline? Yes! Once you save any song offline, then you can play it without internet connection. You can try Music Paradise Pro or Songily. You can use any music player like Google Play Music to do that as Super Sound Cloud does not support shuffle mode. I used this app to download few mp3 songs today itself and it worked like charm. Once you select any song which you want to download, click on Download button. Then select mp3 format from there. Let me know if you still face any issue. It’s really a well curated article on music downloaders for Android. Most of them are just working perfectly. I personally like Songily app a lot. They have their app in Google Play Store and has their official website as well and is a good app to download mp3 files. Recommended! I love your article. I am personally using Music Paradise Pro to download songs for free on my phone. Undoubtedly it’s the BEST and it deserves first position.